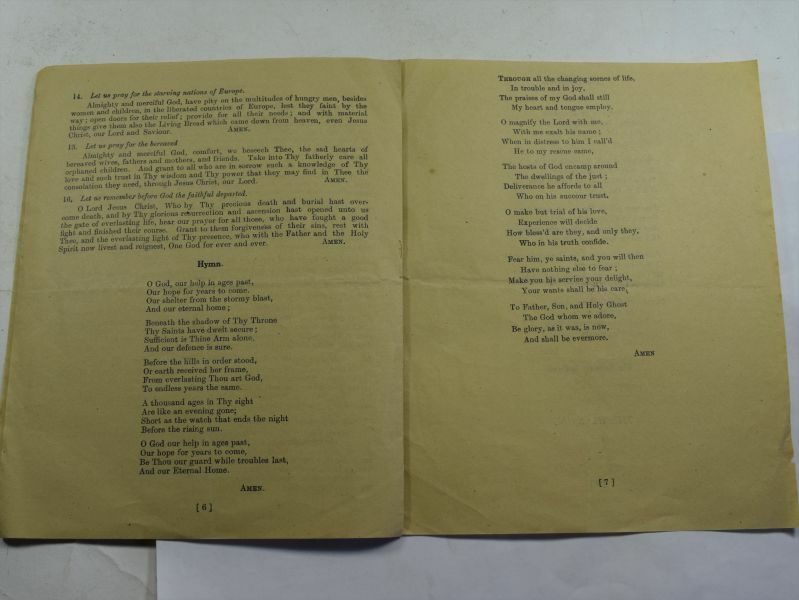 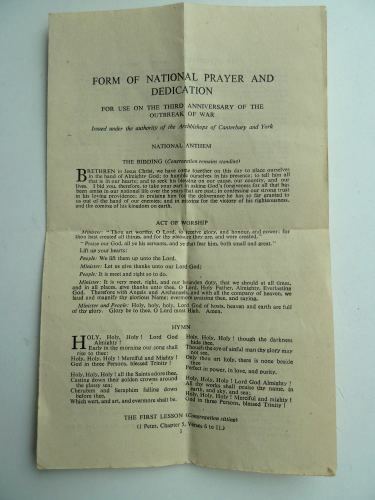 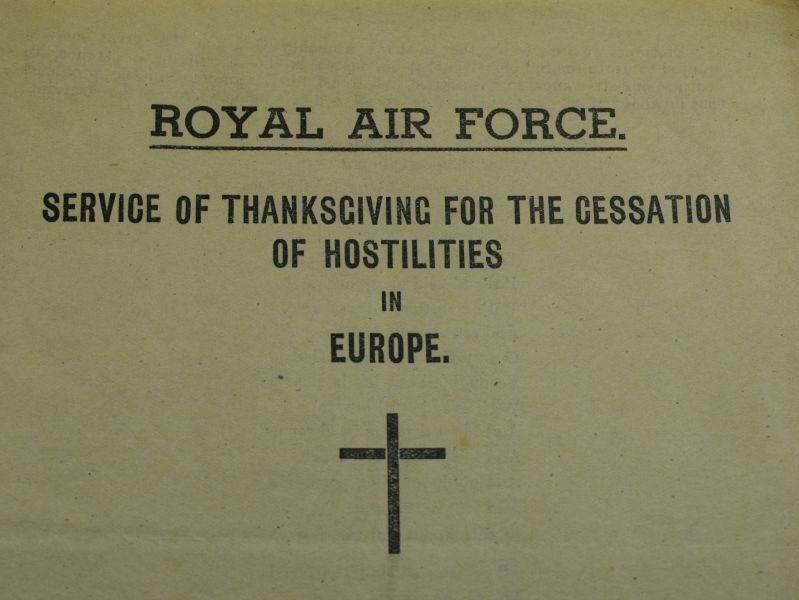 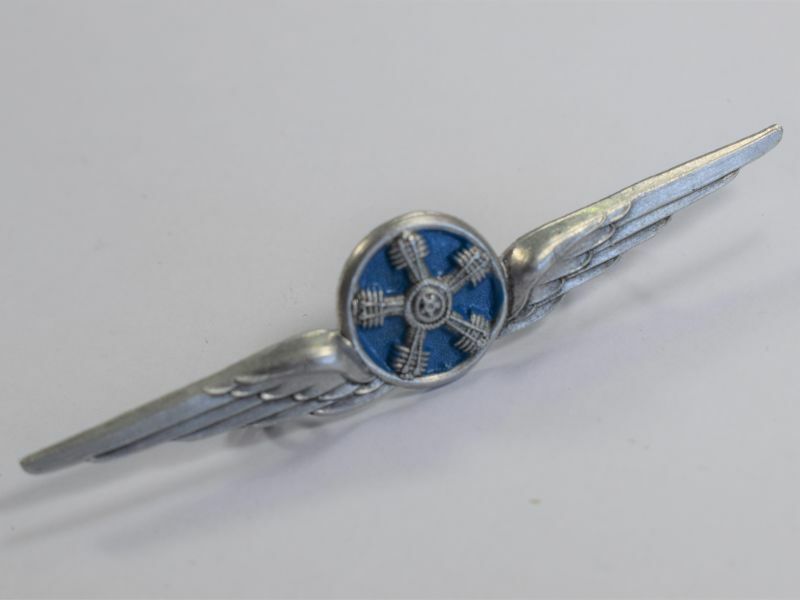 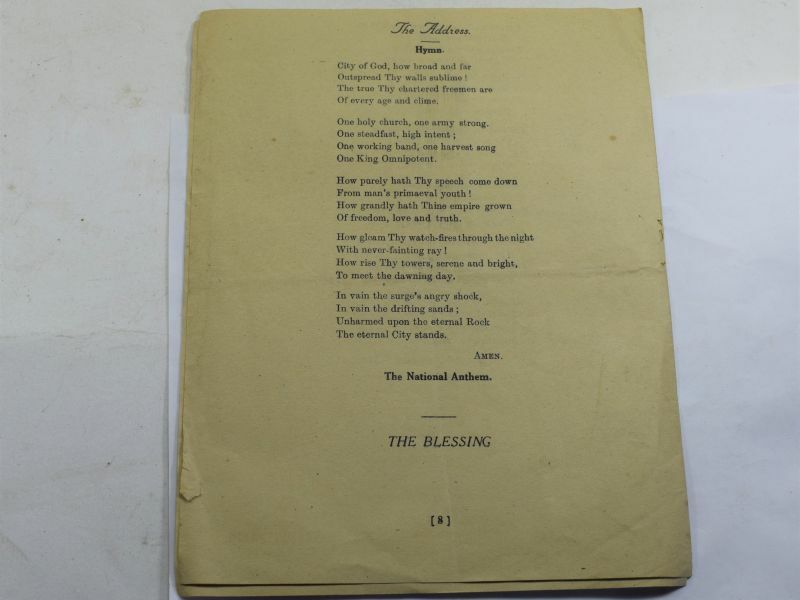 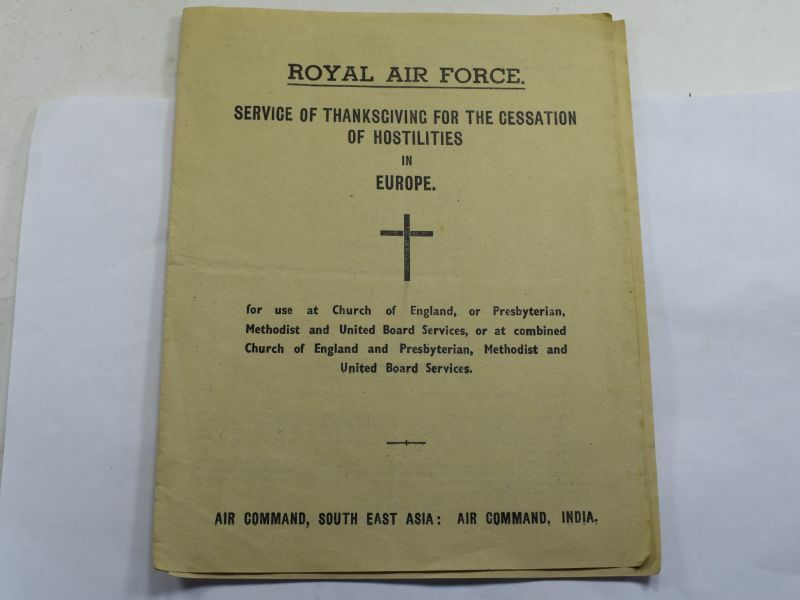 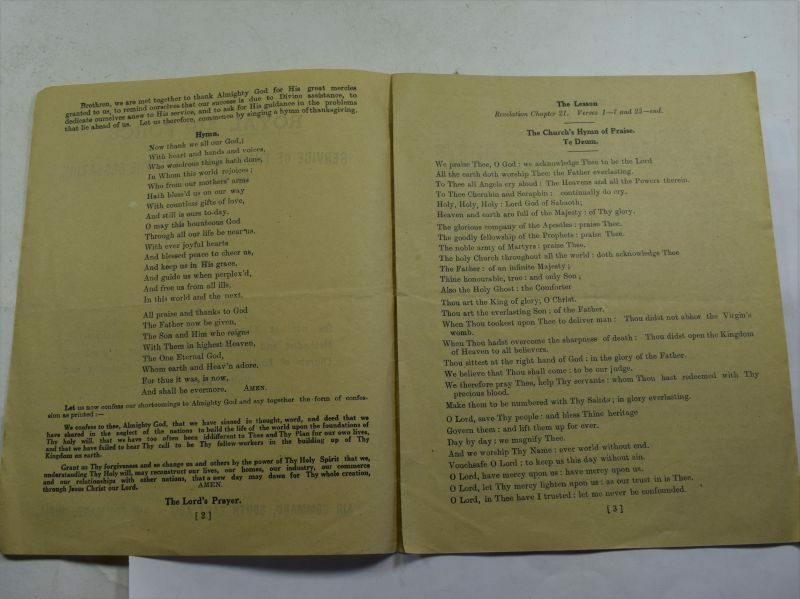 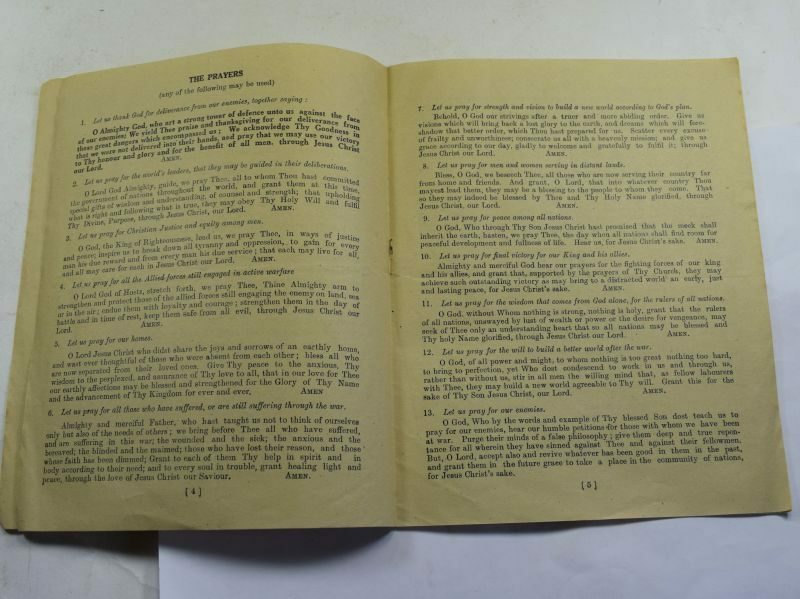 47 An interesting original Church programe “Royal Air Force, Service Of Thanksgiving For The Cessation of Hostilities In Europe” printed for use by “Air Command, South East Asia Air Command India”. 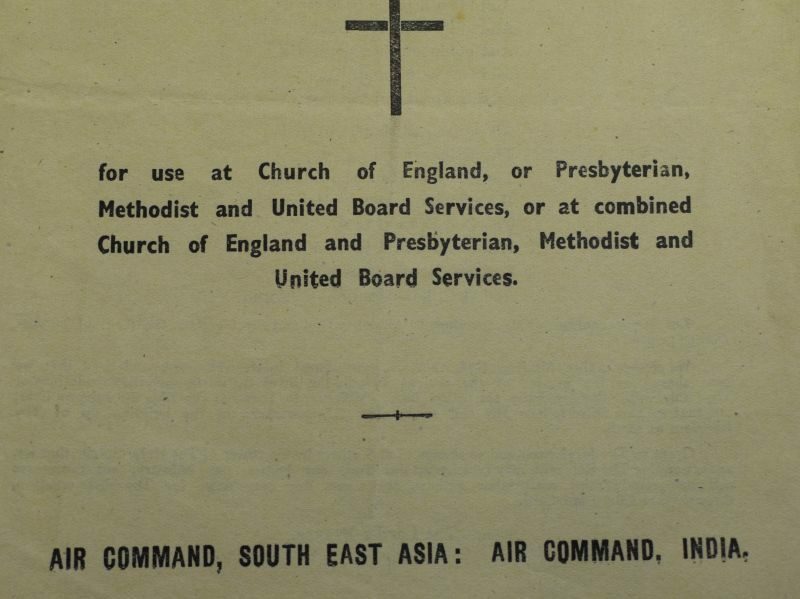 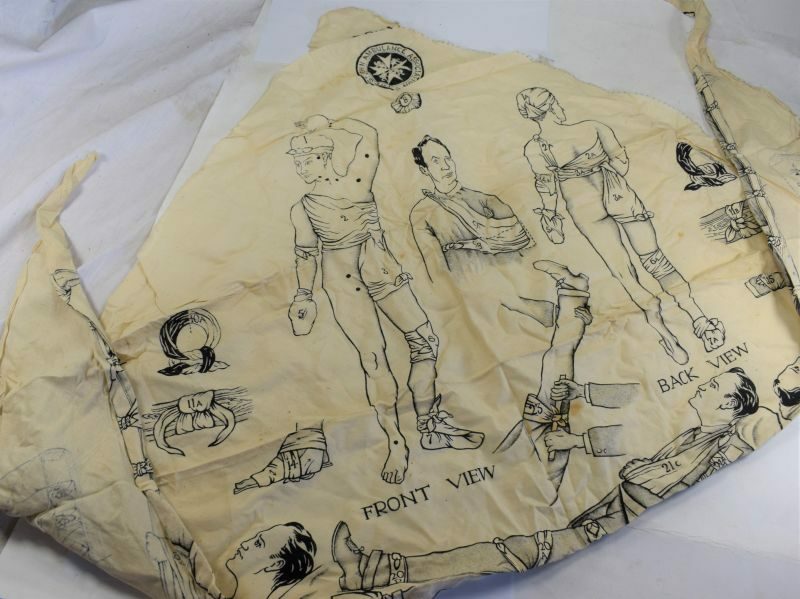 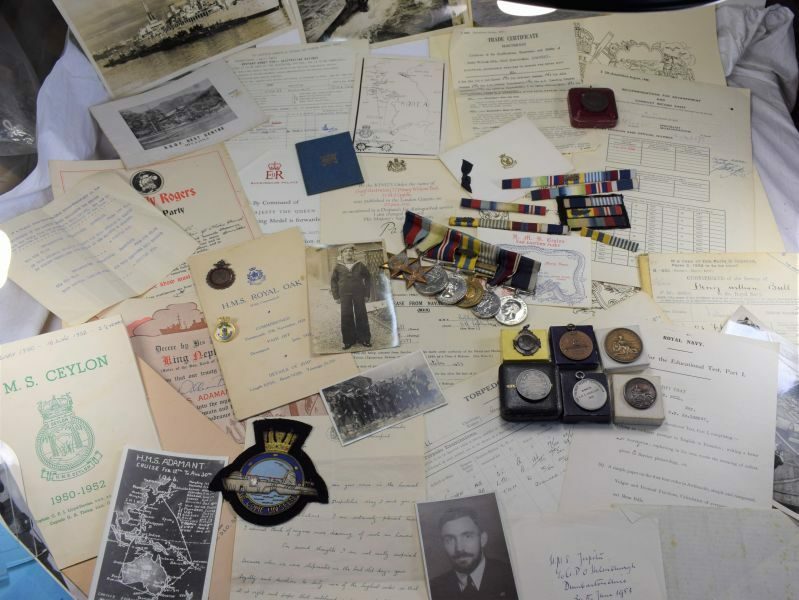 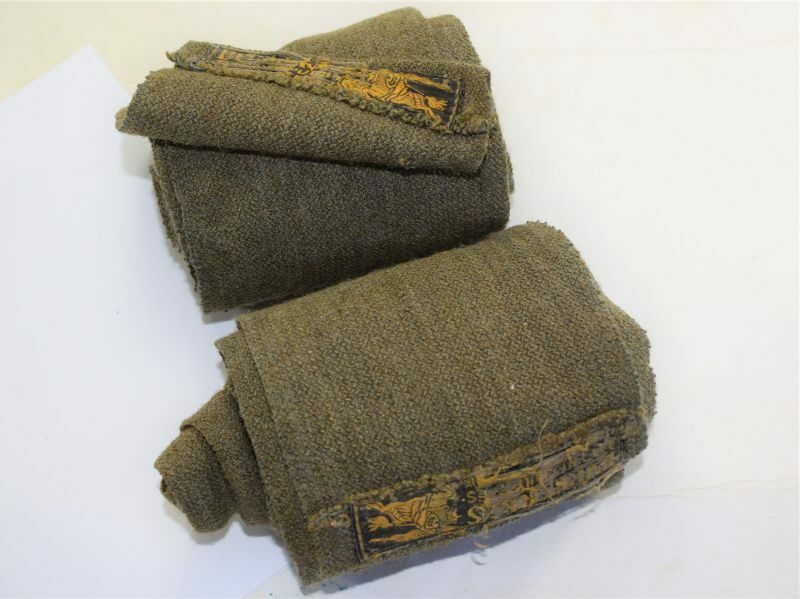 This was produced as soon as the war in Europe had finished so the men at this service were still fighting as the war in the Far East was still going on. 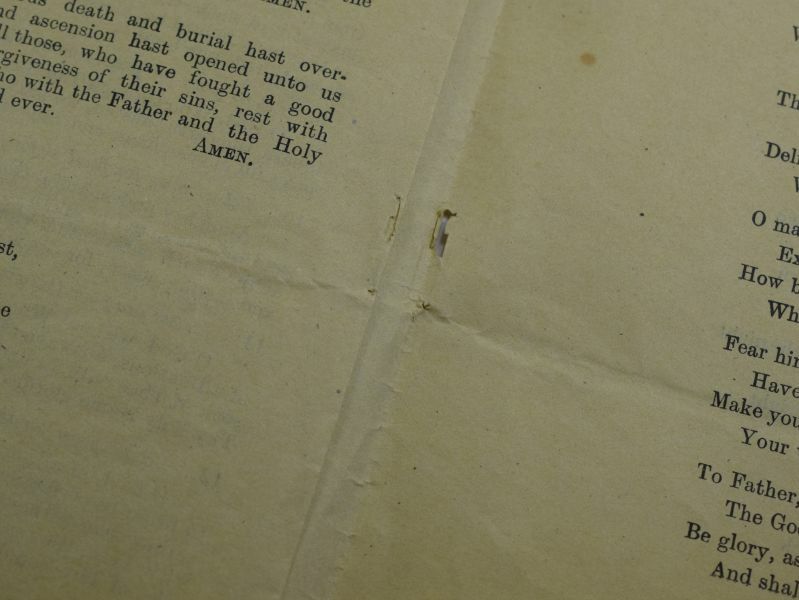 It is in good order, slightly tatty to the edges and the single staple has pulled through so the center page is loose. 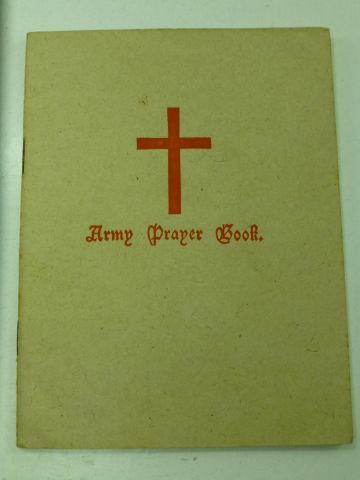 Prayer leaflet for use on third anniversary of the outbreak of war.